Why should you care about biodiversity? ASU scientist makes her case. No matter where you live, what you eat and buy affects the ocean's health. 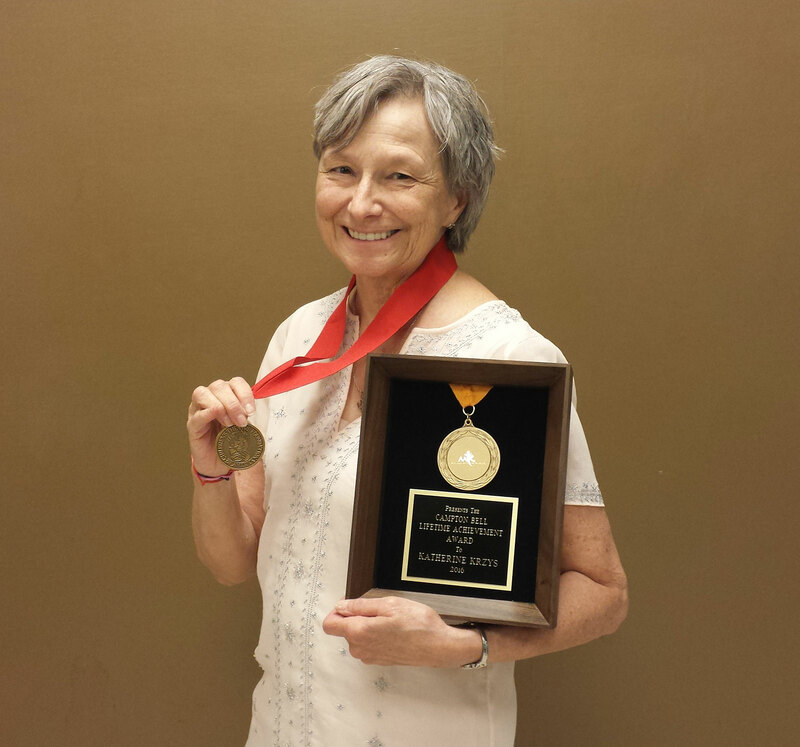 In late July at the American Alliance for Theatre and Education (AATE) conference, Krzys — an archivist at the Archives & Special Collections at ASU Libraries — received the Children’s Theatre Foundation of America’s Corey Medallion and the Campton Bell Lifetime Achievement Award from AATE. These awards are the highest that can be achieved in the field of theater for youth; previous medallion award recipients include television’s “Mr. Rogers Neighborhood,” the National Endowment for the Arts, and Charles Schulz of “Peanuts” fame. The Children’s Theatre Foundation of America award “honors recipients for their significant achievements for the enrichment of children in the United States and Canada through nurturing artistic work in theater and the arts,” according to its website. Krzys has spent her professional career working toward that end. As a graduate research assistant in the ASU MFA Theatre for Youth Program, she oversaw the transfer of the Child Drama Collection (CDC) from typewriter-generated books and archives into digital format stored on computers. The CDC collection contains more than 9,200 books, 290 periodical titles, more than 2,000 audio-visual media, and 3,500 linear feet of manuscript materials, documenting professional theater for young audiences, youth theater, and toddler-through-high-school theater education. More than 95 percent of these materials were donated. Krzys was the founding curator of the Child Drama Collection starting in 1985, and under her leadership the CDC has grown to become the largest repository in the world documenting the international history of theater for youth dating as far back as the 16th century. In 1994, ASU Libraries also received a Children’s Theatre Foundation of America Medallion, which recognized Krzys’ contribution in creating the Child Drama Collection. Krzys is widely recognized by her peers for her professional achievements. “Kathy Krzys is probably one of the most treasured and important members of our Theatre for Youth community,” said Don Doyle, retired professor of theater at ASU. “It is because of her dedication and passion for collecting and archiving the meaningful materials in our field that especially students, educators and theater professionals, now and in the future, will know who we were, when and what we did, and that this all existed before them. Leaders in this field can look at all of this history and be proud.